The loss of a close family member or friend is difficult. 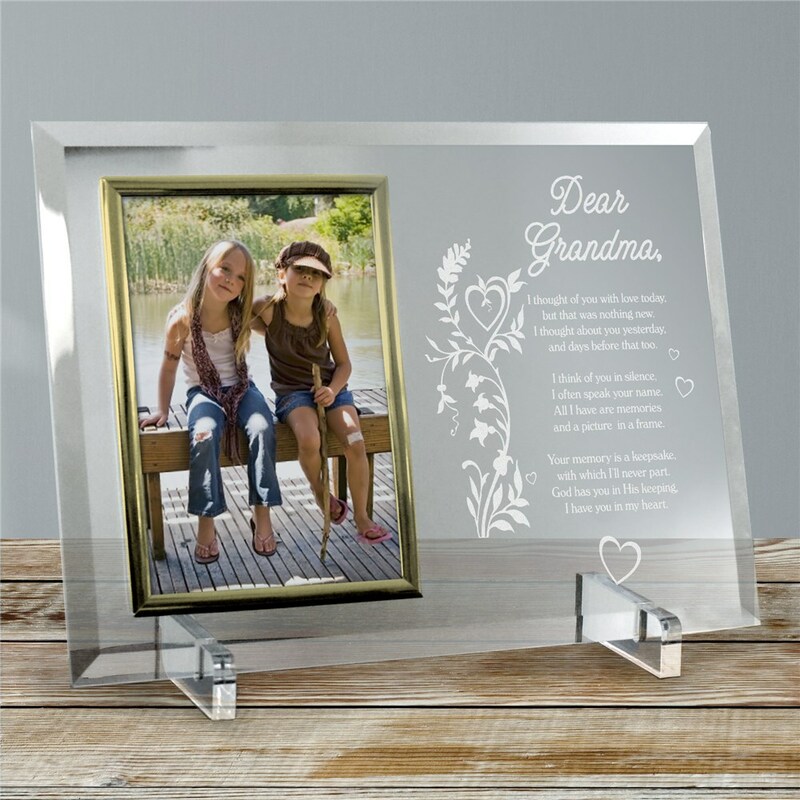 This beautifully engraved Your Memory is a Keepsake Personalized Memorial Picture Frame is sure to help sooth their heart during this time of mourning. Personalize your memorial frame with any name or title of your loved one. A sympathy picture frame makes a thoughtful personalized sympathy gift that will be treasured for years to come! Absolutely beautiful. The person I gave it to cried. I loved it. Lost my husband of 44 years in June and this is just a reminder of how much he was loved. In a time of bereavement remembrance of the past is the easiest way to let go. Memorialize your loved ones that have passed with our personalized memorial gifts. Losing a loved one is hard to do to, but is a part of life. Our memorial and bereavement gifts will help make your loved ones live on forever. Purchasing a sympathy gift to help someone is their grief is a difficult task. Comforting a friend with loss is the best gift of all. Help them remember their loved one with a sympathy memento.